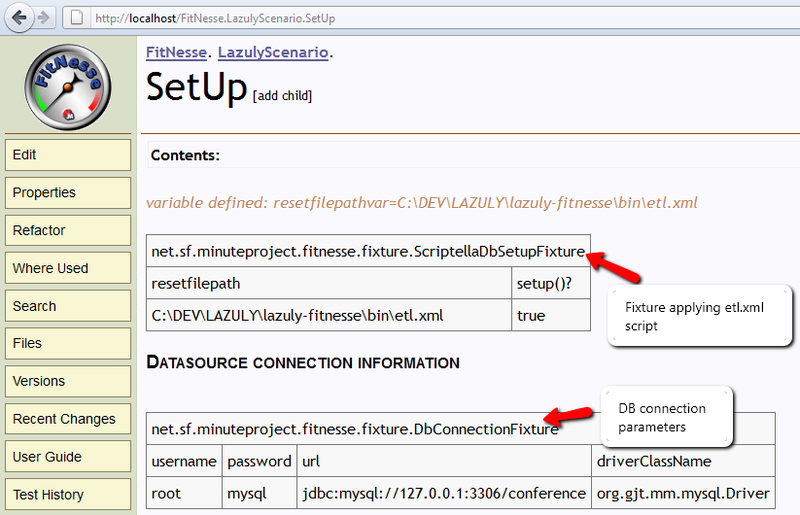 This article shows you how-to setup FitNesse in your development environment when dealing with Relation Database CRUD operations. 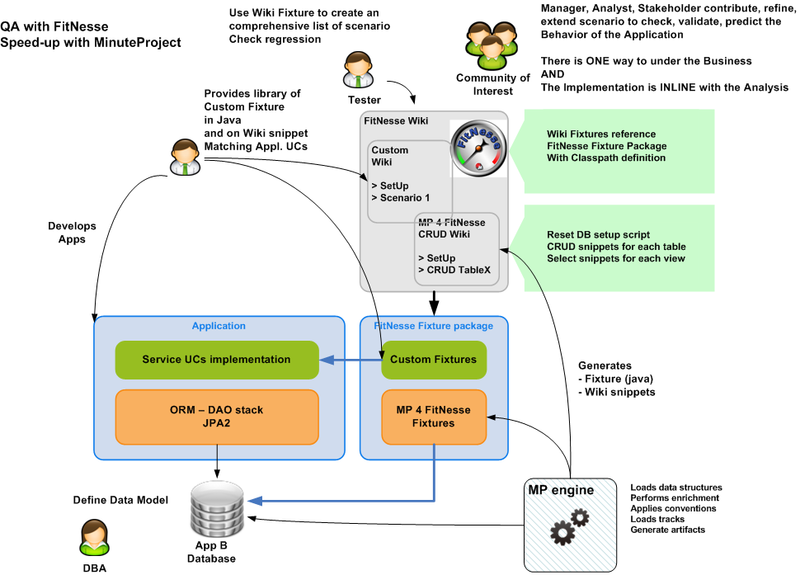 MinuteProject 4 FitNesse generates entire set of FitNesse wiki pages and associated java fixtures allowing you to reset the database as well as performing intuitively CRUD operations on top of tables and Select on top of views. To illustrate this MinuteProject track, the Database used comes from the Lazuly showcase. 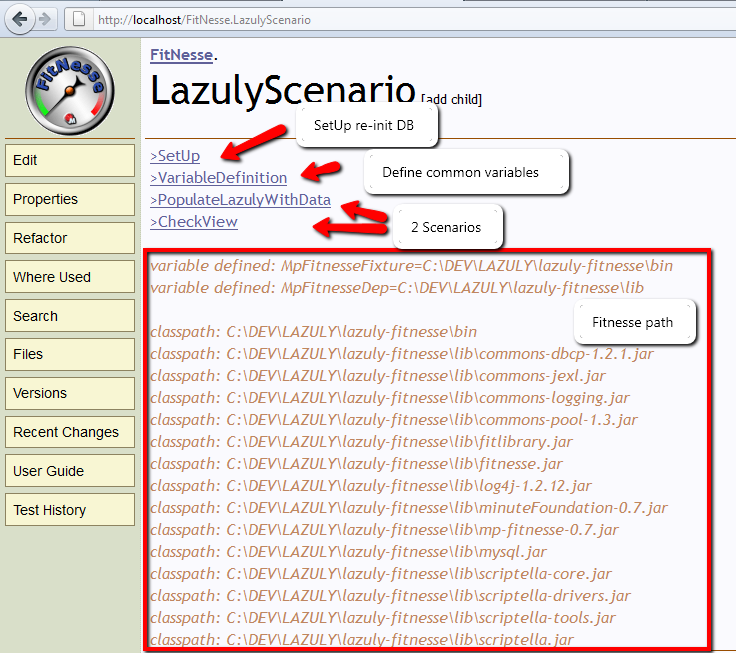 The sources can be found under lazuly-fitnesse. 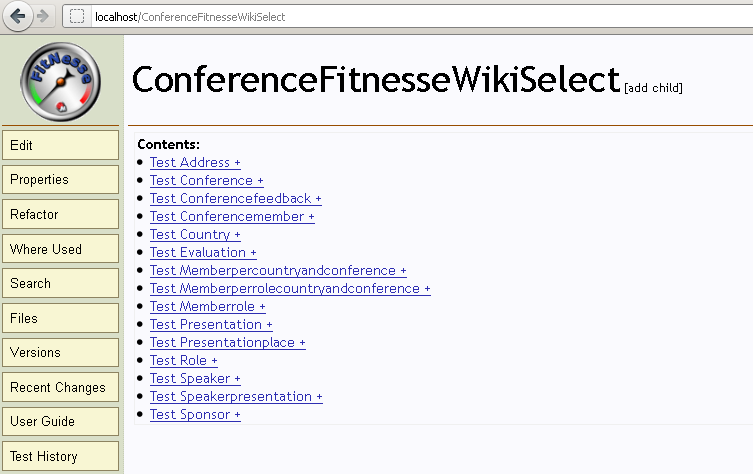 what track (fitnesse track) to use. FitNesse CRUD Wiki generated for you model. 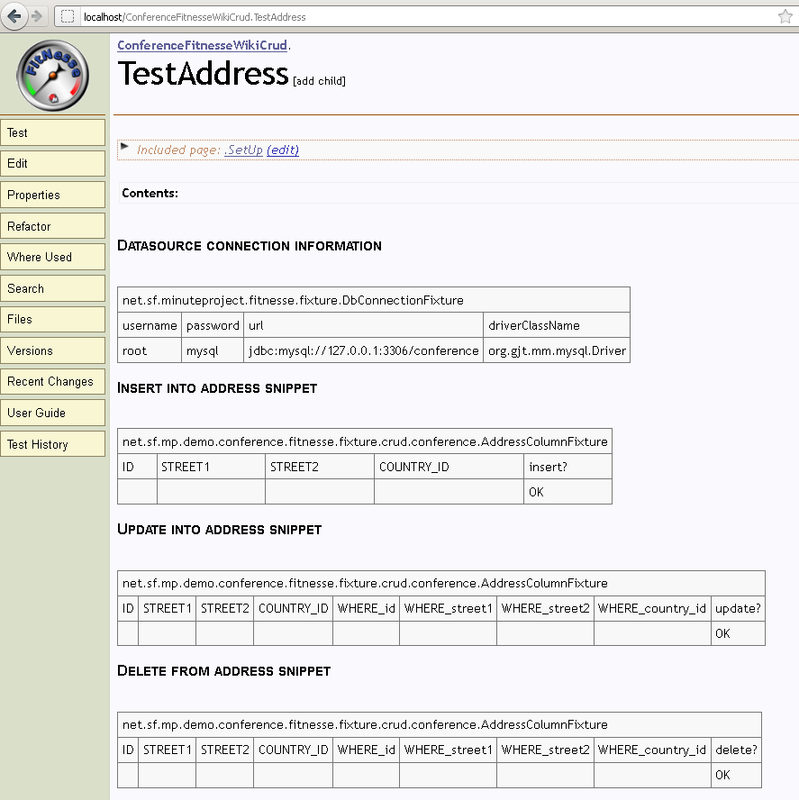 after X UCs in a scenario, are my data correctly stored? 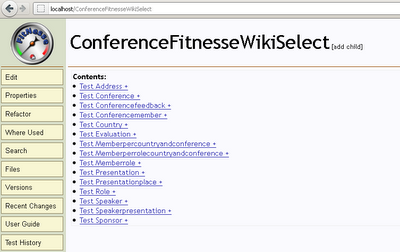 The compilation directory is to be reference by the FitNesse wiki path directives. 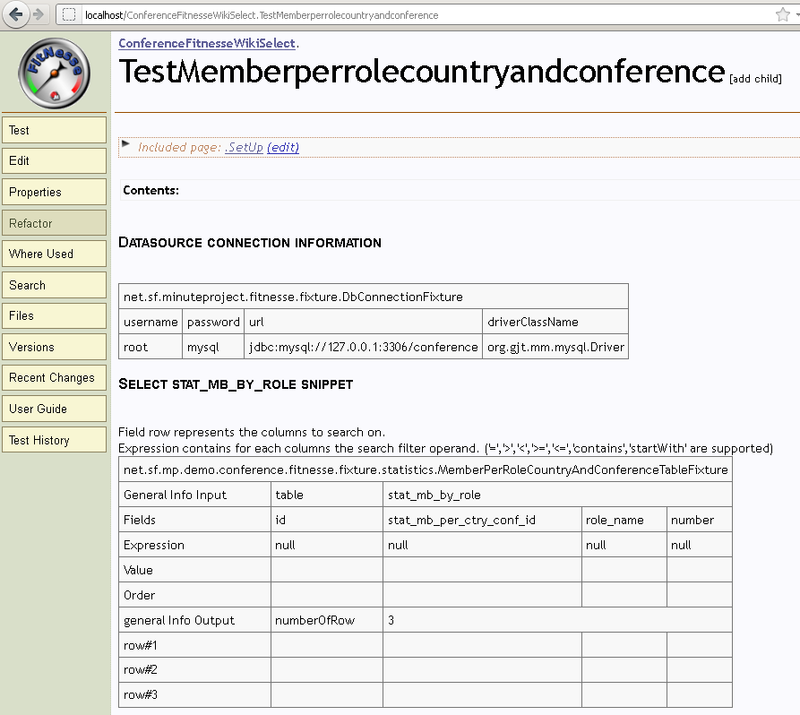 Althought MinuteProject provides CRUD wiki ready to use, the purpose of this section is to setup a custom wiki that will be used for your UC. 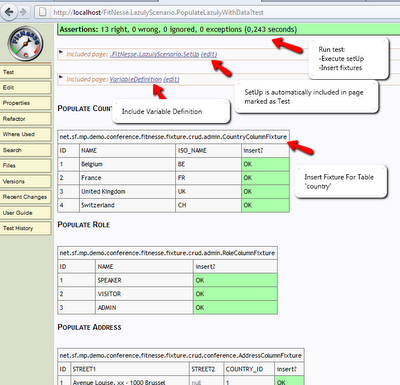 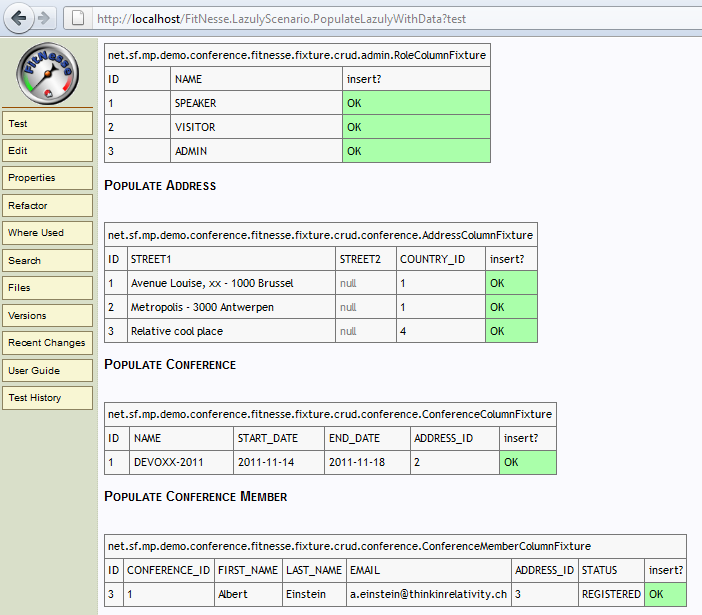 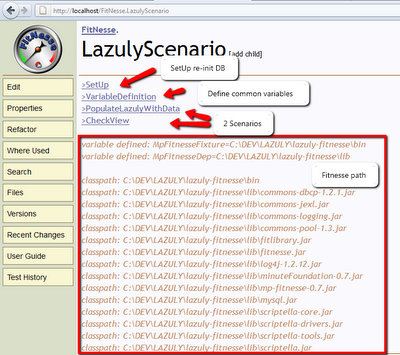 This scenario will populate couple of tables of the Lazuly DB and check if the result expected in the views is correct. 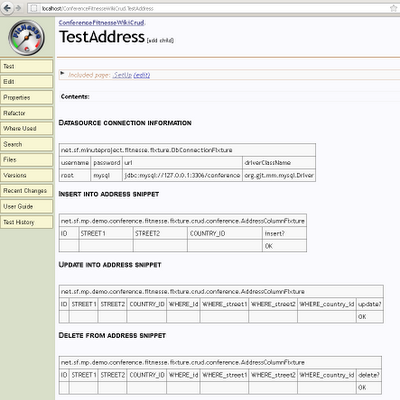 Adapt the variable resetfilepathvar to point to your file path. 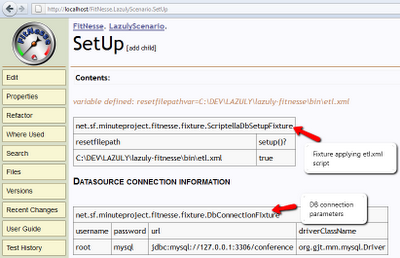 The SetUp page is automatically included at the beginning of your scenario. 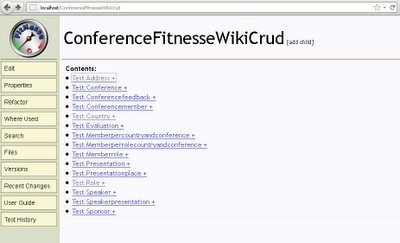 Pick-up CRUD snippet from MP generated FitNesse Wiki to create you own customed DB initialization. 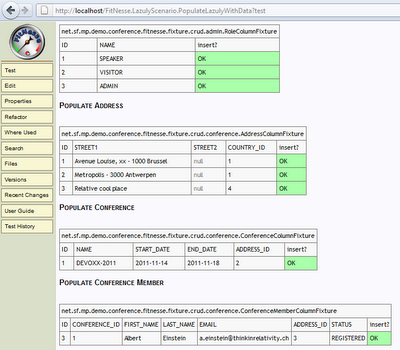 In this case, I simply check that the data are stored correctly. 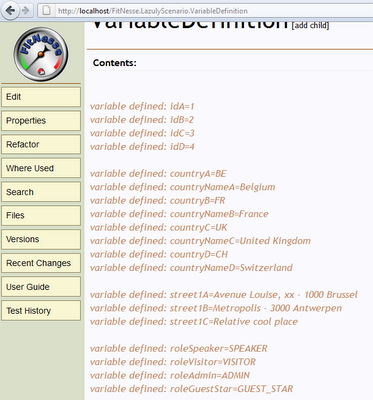 There is a view that gather BI information and I use it to validate the correctness of the information. 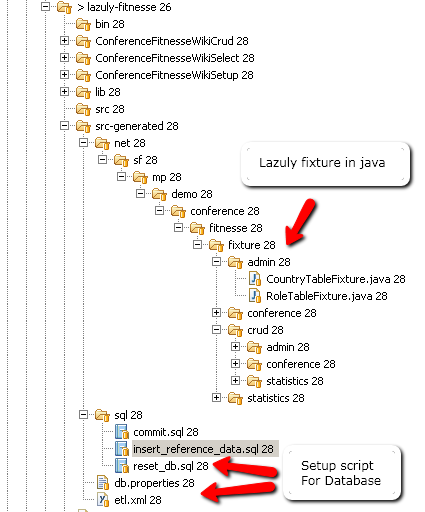 This example shows that you can have use very easily CRUD fitnesse fixture (Zero LOC of development are required) customized for your data model. 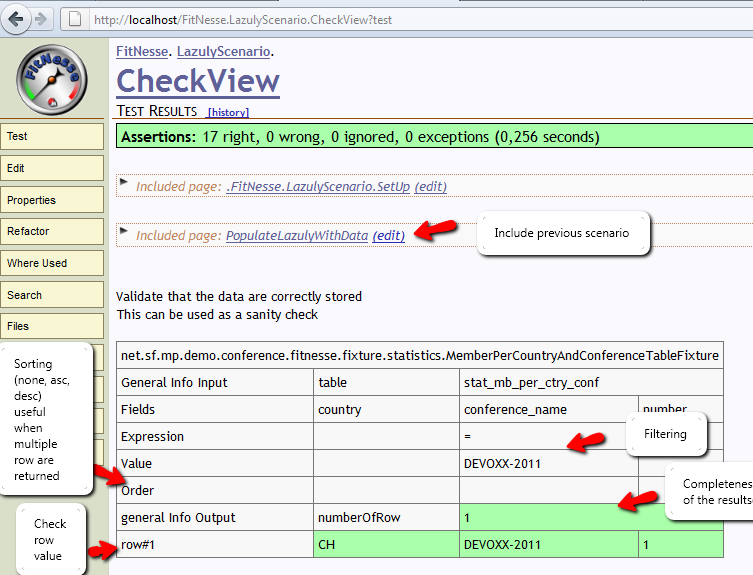 At this point on you can guarante that the data retrieved from the view are correct. 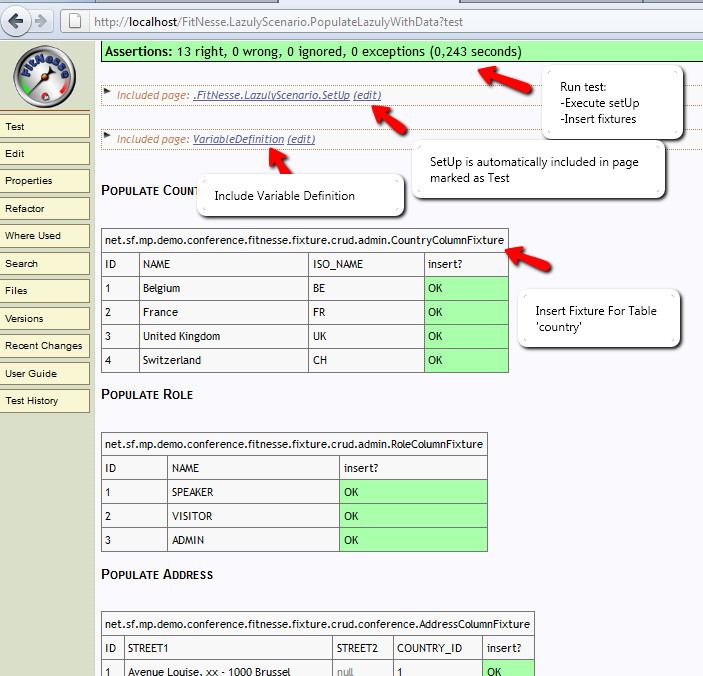 That means that you have QA on your model. 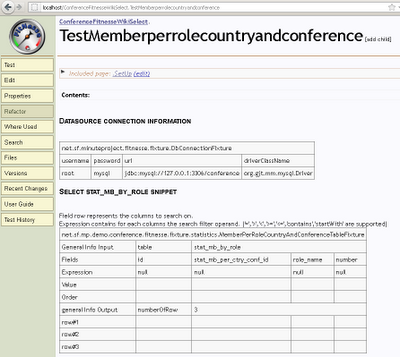 Here the UCs demonstrated concern only CRUD operations on top of DB entities. 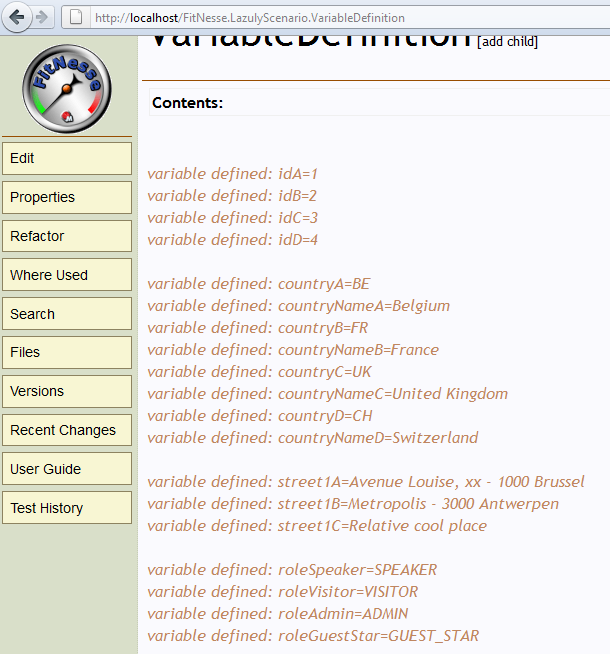 I would like to how can i achieve with this tool ? 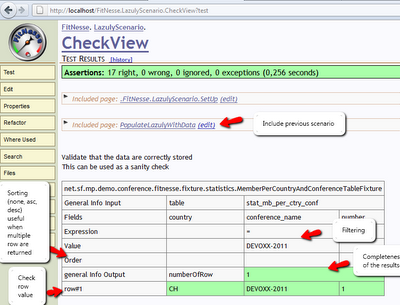 The second steps validate that the implementation of the view is correct and acts also as a sanity check. In real project for the second step can replaced by a fixture on top of your Use case or the system (application ETL tool).